March Pop-Up After School Series Success! March can be a hard month on Vinalhaven. Basketball season is over and baseball has yet to begin. There is a lull of activity for students, especially in the middle grades. This March, PIE offered something new: a pop-up after school series that was free for students in grades 4-8. The three-session series was devised by our Island Institute Fellow, Hillary Savage, and was based off student survey results. 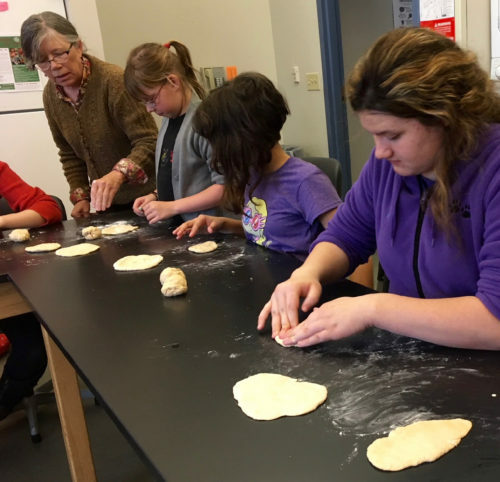 The first workshop, Pita Bread Making was led by volunteer Amy Calkins. Eight students participated in the yummy afternoon! Amy led the group through the steps of making the bread. While it was resting, students also made Tsatziki sauce, a specialty often eaten with pita in Middle Eastern countries. Pita bread and the tasty tzatziki was a new experience for all of the participants, who were eager to try to make the easy recipe at home! 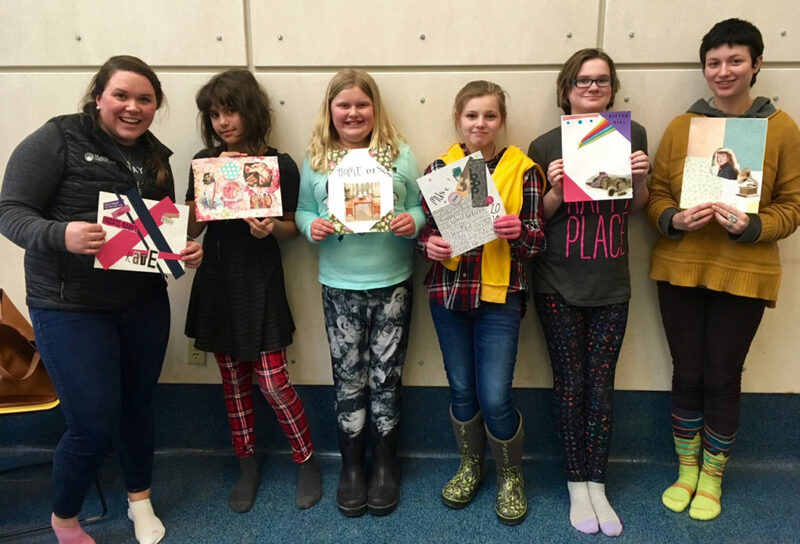 March happened to be Women’s History Month and inspired volunteer Kate Elmes to offer the next workshop, titled Stronger Together: Celebrating Women’s History Month. The four participants broke down gender stereotypes, dismantled media norms and projections of women and did some team building exercises. The group ended the session by creating their own magazine covers based on positive images of themselves. It was an incredible opportunity for students to talk about gender, voice concern as well as build a safe space for each other. 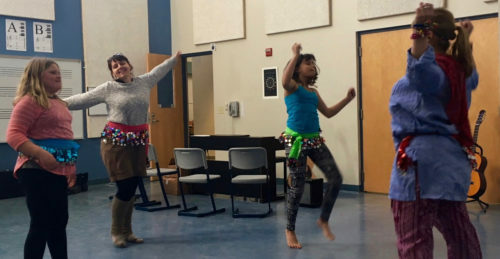 The final workshop in the series was Bhangra Dancing and was led by Amy Lear. Bhangra is a traditional Indian dance and is high energy! Participants learned basic steps and worked their way up to transitioning between the moves and keeping with the beat of the music! Amy had just returned from a trip to India and shared with us the highlights of her trip, as well as some of the cultural differences between students at Vinalhaven and children in India. PIE hopes to offer more programs like this in the future. It was a great way to introduce some fun, new activities! BIG thanks to all of our volunteers who led programs, to Logan for her assistance and all of our participants! More pictures can be found on our Facebook page.